Project Planning Academy - Kent Chan ICP. Planning Scheduling a﻿nd Control becomes an important element in successfully managing the Project and delivering it on time. Primavera P6 and Microsoft Project, as well as others planning software, has been very useful tool in the Project Planning & Scheduling. Managing SCOPE (Time, Cost, Resources) conventionally is impossible; we need software tools to handle it, not only complex project in fact for any size of projects. In today's ever changing business climate, customers are demanding more for less and expecting faster delivery with highest quality standard. Projects are expected to be delivered faster than industry average time. Project Planning Academy has been established with an aim of equipping Project Managers and Project Planners with right skills to Plan, Schedule and Control projects. At Project Planning Academy in we provide hand-on training in Primavera P6, Microsoft Project for Project Management Professionals especially who are engaged in Planning, Scheduling and Control of Projects. Projects has many challenges, the main challenge is to deliver the project within the SCOPE, - Time, Costs, Resources. Which is a critical factor in project management. To succeed in this environment, successful organizations have relied on PPA to help them adopt enterprise-wide project and portfolio management practices. They knew they could rely on PPA to accelerate their project and portfolio management implementation because PPA has the experience, expertise, and tools to resolve complex project management challenges. The intention of this designation is to recognize the analysts and professional who meet a demanding requirement of planning and scheduling assets of experience, education, skill, knowledge and ethical qualification. The CPE requirement is to establish to recognize today’s advanced planning & engineering professionals in the industry and to fairly measure their education, skill, experience and management practices. Project Management is growing exponentially. It's now used virtually all in the industries such as government, health care, telecom, IT, education, banking and construction. Effective management is how this organization streamline to improve productivity. As business is restructured, project managers take over many responsibilities. Expertise and credentials in project management is a source security, prosperity and power to many companies. Project Management continues to expand at a rapid pace being now an essential business knowledge area in all industries including government, health care, telecom, IT, education, finance and construction. Effective project management is helping these organizations streamline to improve productivity. As business structure shifts, project managers have increased responsibility. Expertise in project management is a source of security, prosperity and power to organizations and individuals alike. This course is mainly designed for Project Management Professionals who wish to learn how to plan and control projects in an established Primavera Enterprise environment with or without Resources and Roles. It is a hands-on training on Primavera P6v7 solution. Participants will gain hands-on experience building a new schedule, updating / monitoring the schedule, and generating reports. Participants also gain a thorough background in the concepts of planning and scheduling. This course is mainly designed for Project Management Professionals who wish to learn how to plan and control projects in an established Project Control environment with or without Resources and Roles. It is a hands-on training on MS Project 2010/2013 solution. Participants will gain hands-on experience building a new schedule, updating / monitoring the schedule, and generating reports. Participants also gain a thorough background in the concepts of planning and scheduling. 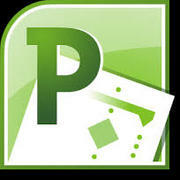 PRINCE2 is a process-driven project management method. PRINCE2 is based on seven principles (continued business justification, learn from experience, defined roles and responsibilities, manage by stages, manage by exception, focus on products and tailored to suit the project environment), seven themes (business case, organization, quality, plans, risk, change and progress) and seven processes. The principles and themes come into play in the seven processes of PRINCE2. Build up your skill and knowledge from here. Manage your projects on time, within budget and with high quality delivery.